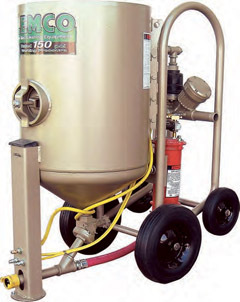 One Source has portable sandblasting pots for rent or sale from Clemco. 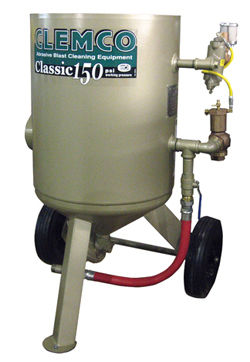 These industrial quality units are designed for portable production blasting. Each sandblast pot comes with everything you need to begin blasting; all you need is the compressed air and media (sold separately). For air requirements and abrasive consumption click here. We offer parts, and service for Clemco Blast Pots. Call us today for all your sandblasting needs. 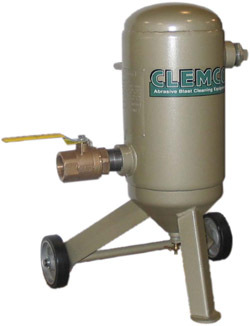 One Source has moisture separators for rent or sale from Clemco. These high-volume coalescent filters remove water and oil from the compressed air supply and can eliminate problems with wet blast media and surface coating adhesion. Drainage is handled through a manual petcock at the bottom of the unit.